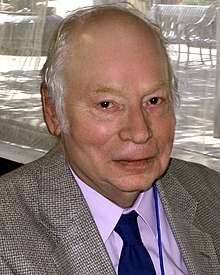 Steven Weinberg (born 3 May 1933) is an American physicist. He was awarded the 1979 Nobel Prize in Physics (with colleagues Abdus Salam and Sheldon Glashow) for combining electromagnetism and the weak force into the electroweak force. The god of traditional Judaism and Christianity and Islam seems to me a terrible character. As everyone today knows, in specifying the value of a gauge coupling constant it is necessary to say not only what its value is but where — that is at what normalization scale — it has that value. Considering the pervasive importance of quantum mechanics in modern physics, it is odd how rarely one hears of efforts to test quantum mechanics experimentally with high precision.…The trouble is that it is very difficult to find any logically consistent generalization of quantum mechanics. One obvious target for generalization is the linearity of quantum mechanics, but if we arbitrarily add nonlinear terms to the Schrodinger equation, how do we know that the theory we obtain will have a sensible physical interpretation? At least in part, it is the dearth of generalized versions of quantum mechanics that has made it so hard to plan experimental tests of quantum mechanics. So what happens to the effective field theories of electroweak, strong, and gravitational interactions at energies of order 1015–1018 GeV? I know of only two plausible alternatives. One possibility is that the theory remains a quantum field theory, but one in which the finite or infinite number of renormalized couplings do not run off to infinity with increasing energy, but hit a fixed point of the renormalizable group equations. ... The other possibility, which I have to admit is a priori more likely, is that at very high energy we will run into really new physics, not describable in terms of a quantum field theory. I think that by far the most likely possibility is that this will be something like a string theory. Either by God you mean something definite or you don't mean something definite. If by God you mean a personality who is concerned about human beings, who did all this out of love for human beings, who watches us and who intervenes, then I would have to say in the first place how do you know, what makes you think so? And in the second place, is that really an explanation? If that's true, what explains that? Why is there such a God? It isn't the end of the chain of whys, it just is another step, and you have to take the step beyond that. There are those whose views about religion are not very different from my own, but who nevertheless feel that we should try to damp down the conflict, that we should compromise it. … I respect their views and I understand their motives, and I don't condemn them, but I'm not having it. To me, the conflict between science and religion is more important than these issues of science education or even environmentalism. I think the world needs to wake up from its long nightmare of religious belief; and anything that we scientists can do to weaken the hold of religion should be done, and may in fact be our greatest contribution to civilization. If there is no point in the universe that we discover by the methods of science, there is a point that we can give the universe by the way we live, by loving each other, by discovering things about nature, by creating works of art. And that—in a way, although we are not the stars in a cosmic drama, if the only drama we're starring in is one that we are making up as we go along, it is not entirely ignoble that faced with this unloving, impersonal universe we make a little island of warmth and love and science and art for ourselves. That's not an entirely despicable role for us to play. Dreams of a Final Theory: The Search for the Fundamental Laws of Nature (1993), ISBN 0-09-922391-0. "Particle physics, from Rutherford to the LHC," Physics Today 64, no.8 (August 2011), 29-33, on 30. In fact, there is something puzzling about the Higgs mass we now do observe. It is generally known as the “hierarchy problem.” Since it is the Higgs mass that sets the scale for the masses of all other known elementary particles, one might guess that it should be similar to another mass that plays a fundamental role in physics, the so-called Planck mass, which is the fundamental unit of mass in the theory of gravitation. (It is the mass of hypothetical particles whose gravitational attraction for one another would be as strong as the electric force between two electrons separated by the same distance.) But the Planck mass is about a hundred thousand trillion times larger than the Higgs mass. So, although the Higgs particle is so heavy that a giant particle collider was needed to create it, we still have to ask, why is the Higgs mass so small? It doesn't work to build half an accelerator. The particles need to go all the way around. Symmetry is not enough by itself. In electromagnetism, for example, if you write down all the symmetries we know, such as Lorentz invariance and gauge invariance, you don’t get a unique theory that predicts the magnetic moment of the electron. The only way to do that is to add the principle of renormalisability – which dictates a high degree of simplicity in the theory and excludes these additional terms that would have changed the magnetic moment of the electron from the value Schwinger calculated in 1948.
as quoted in an interview by Matthew Chalmers: (13 October 2017)"Model physicist". CERN Courier. One of the things that excited me so much about quantum chromodynamics after the work of Gross and Wilczek and Politzer was that it seemed to provide a rational explanation for what had always been mysterious to me — the fact that there were symmetries, like parity conservation, charge conjugation invariance, and strangeness conservation, that were very good symmetries of the strong and electromagnetic interactions — as far as we knew exact — and yet were not respected by the weak interactions. Why should nature have ... symmetries that are symmetries of part of nature but not other parts of nature? ... I found that I was unable to explain the foundations of quantum mechanics in a way that I found entirely satisfactory. It is almost irresistible for humans to believe that we have some special relation to the universe, that human life is not just a more-or-less farcical outcome of a chain of accidents reaching back to the first three minutes, but that we were somehow built in from the beginning. ... It is very hard to realise that this is all just a tiny part of an overwhelmingly hostile universe. It is even harder to realise that this present universe has evolved from an unspeakably unfamiliar early condition, and faces a future extinction of endless cold or intolerable heat. The more the universe seems comprehensible, the more it also seems pointless. The years since the mid-1970s have been the most frustrating in the history of particle physics. We are paying the price of our own success: theory has advanced so far that further progress will require the study of processes at energies far beyond the reach of existing facilities. In order to break our of this impasse, physicists began in 1982 to develop plans for a scientific project of unprecedented size and cost, known as the Superconducting Super Collider. It is with Isaac Newton that the modern dream of a final theory really begins. The last thirty years of Einstein's life were largely devoted to a search for a so-called unified field theory that would unify James Clerk Maxwell's theory of electromagnetism with the general theory of relativity, Einstein's theory of gravitation. Einstein's attempt was not successful, and with hindsight we can now see that it was misconceived. Not only did Einstein reject quantum mechanics; the scope of his effort was too narrow. ... Nevertheless Einstein's struggle is our struggle today. It is the search for a final theory. I managed to get a quick PhD — though when I got it I knew almost nothing about physics. But I did learn one big thing: that no one knows everything, and you don't have to. Another lesson to be learned, to continue using my oceanographic metaphor, is that while you are swimming and not sinking you should aim for rough water. As you will never be sure which are the right problems to work on, most of the time that you spend in the laboratory or at your desk will be wasted. If you want to be creative, then you will have to get used to spending most of your time not being creative, to being becalmed on the ocean of scientific knowledge. Finally, learn something about the history of science, or at a minimum the history of your own branch of science. The least important reason for this is that the history may actually be of some use to you in your own scientific work. 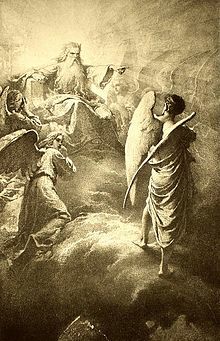 Many people do simply awful things out of sincere religious belief, not using religion as a cover the way that Saddam Hussein may have done, but really because they believe that this is what God wants them to do, going all the way back to Abraham being willing to sacrifice Isaac because God told him to do that. Putting God ahead of humanity is a terrible thing. The development of quantum mechanics in the 1920s was the greatest advance in physical science since the work of Isaac Newton. It was not easy; the ideas of quantum mechanics present a profound departure from ordinary human intuition. Quantum mechanics has won acceptance through its success. It is essential to modern atomic, molecular, nuclear, and elementary particle physics, and to a great deal of chemistry and condensed matter physics as well. The principles of quantum mechanics are so contrary to ordinary intuition that they can best be motivated by taking a look at their prehistory. Perhaps the most important immediate consequence of Planck’s work was to provide long-sought values for atomic constants. Planck’s quantization assumption applied to the matter that emits and absorbs radiation, not to radiation itself. As George Gamow later remarked, Planck thought that radiation was like butter; butter itself comes in any quantity, but it can be bought and sold only in multiples of one quarter pound. It was Albert Einstein (1879–1955) who in 1905 proposed that the energy of radiation of frequency ν was itself an integer multiple of hν. In this derivation Bohr had relied on the old idea of classical radiation theory, that the frequencies of spectral lines should agree with the frequency of the electron’s orbital motion, but he had assumed this only for the largest orbits, with large n. The light frequencies he calculated for transitions between lower states, such as n=2 → n=1, did not at all agree with the orbital frequency of the initial or final state. So Bohr’s work represented another large step away from classical physics. Heisenberg’s starting point was the philosophical judgment, that a physical theory should not concern itself with things like electron orbits in atoms that can never be observed. This is a risky assumption, but in this case it served Heisenberg well. To start, we will consider a single particle moving in three space dimensions under the influence of a general central potential. Later we will specialize to the case of a Coulomb potential, and work out the spectrum of hydrogen. One other classic problem, the harmonic oscillator, will be treated at the end of this chapter. My own conclusion is that today there is no interpretation of quantum mechanics that does not have serious flaws. This view is not universally shared. Indeed, many physicists are satisfied with their own interpretation of quantum mechanics. But different physicists are satisfied with different interpretations. In my view, we ought to take seriously the possibility of finding some more satisfactory other theory, to which quantum mechanics is only a good approximation. Steven Weinberg is famous as a scientist, but he thinks deeply and writes elegantly about many other things besides science.… he is not only preeminent as a mathematical physicist. He has also made important contributions to the discussion of history and politics. Asked what single mystery, if he could choose, he would like to see solved in his lifetime, Weinberg doesn’t have to think for long: he wants to be able to explain the observed pattern of quark and lepton masses. Matthew Chalmers from an interview: (13 October 2017)"Model physicist". CERN Courier. Weinberg’s paper “A Model of Leptons”, published in Physical Review Letters (PRL) on 20 November 1967, determined the direction of high-energy particle physics through the final decades of the 20th century. Just two and a half pages long, it is one of the most highly cited papers in the history of theoretical physics. Its contents are the core of the Standard Model of particles physics, now almost half a century old and still passing every experimental test. Frank Close in: (13 October 2017)"Birth of a symmetry". CERN Courier.